The Secretary of State is the state’s chief elections officer. The post has a special appeal because its occupant is next in line to become governor if the sitting governor leaves. That's happened three times in the last 30 years. The job pays $60,000 and the occupant serves a four-year term. What makes you the best person for the job? Given reported attempts to hack Arizona’s voter-registration system in 2016, are you confident the state has done enough to secure its voter roles? If not, what would you do differently? When it comes to so-called “dark money,” a term for anonymous spending in elections, is there anything the secretary of state can or should do to provide greater transparency? In your estimation, do corporations or individuals have a free-speech right to anonymously spend money to influence elections? What should be the secretary of state’s No. 1 priority when it comes to the administration of elections? As a candidate running on a partisan ticket, how are you reaching out to those independent voters? Who’s to blame for the hours-long lines voters experienced at the polls in the 2016 presidential preference election? Should the Secretary of State’s Office do anything differently to prevent such lines in the future? Is there anything Arizona should do to make it easier for minorities, people with low incomes or seniors to vote? If so, what do you propose? Do you support Arizona’s “ballot-harvesting” law that makes it illegal to take another person’s early ballot to the polls? The law includes exceptions for members of the same household, caregivers, postal workers and family members. Do you consider voter fraud a serious and widespread problem? Why or why not? Candidates for public office in Arizona must submit a minimum number of voter signatures with their petitions to qualify for the ballot. This year, there have been serious accusations of forgery. How should the state address the issue? 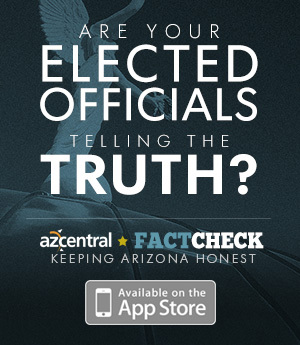 The secretary of state is responsible for overseeing Arizona’s reporting rules for lobbyists. How would you rate the office’s performance in this area? Should anything be changed? Arizona’s secretary of state is second in line to the Governor's Office. If history is a guide, there’s a good chance that whoever wins this year could ascend to the governor’s chair. What would you prioritize if that were to happen? Outside of elections, what other changes do you have in mind for areas under the secretary of state’s purview? Within the last month, the Secretary of State's office retained outside consultants to evaluate cyber-security vulnerabilities. This was far too close to our elections. Little to no attention was given to the security of county election operations, especially the smaller counties. I would have paid attention to the issue much earlier and included the counties in the process. Transparency of election-related expenditures is primarily a function of laws at both the Federal and State levels. As Secretary of State, I would implement, or oversee the implementation of these laws, but cannot make new law. The Department of State can facilitate the visibility of expenditures though easier access to already mandated disclosures. Under Federal law, contributions to non-profit entities are, under most cases, anonymous. I don't think the right to contribute anonymously is a free-speech or first amendment right; I believe it is a fourteenth amendment right. The Secretary of State must restore trust and confidence in the integrity of our elections. The Office must ensure compliance with all legally mandated requirements and facilitate the conduct of elections by the 15 counties in an orderly, efficient, transparent, and secure manner. Primarily though television, radio and digital media. I believe primary blame is shared by the Maricopa County Recorder's Office and the Secretary of State. The Recorder's Office plan for polling places called for far fewer than were needed. The Secretary of State was aware of the plan and should have intervened to make sure that Federal voter service standards were achieved. Arizona should make sure that every voter is well served. There are approximately 10,000 FED-only voters in Arizona. These are people who registered to vote without producing documentary proof of citizenship. I consider that number large enough to be a serious problem. If elected, I would convene a group representing the various stakeholders in the petition process to solicit input about how to reform the process of signature gathering. I do not have enough information to rate the Office in this area. If I became Governor, I would prioritize excellence in education, reduction in crime, fiscal discipline, water conservation and border security. I will review every area of the Secretary of State's office with the goals of improving service and reducing costs. One example of a way to improve service is to locate the many business-related state government functions, such as business formation, obtaining trademarks and tradenames, and business licensing, onto one Internet site and one physical location. The Secretary of State is responsible for overseeing the core of our democracy – our right to vote and elections. Right now this is not happening in a competent manner and voters deserve better. We need someone who takes this role seriously. I’ve spent my career as a social worker and legislator working to solve problems, and that’s what I’ll continue to do in the Secretary of State’s office. As the chief compliance officer of a large nonprofit, I was in charge of making sure the center had the resources and funding needed to serve families in crisis. A lot was on the line – if I didn’t do my job right, funding would have been lost and people’s lives would be affected. I will bring this same commitment to the job to the Secretary of State’s office. Absolutely not. In fact, the current Secretary has chalked up warnings about our data security from federal agencies to “much ado about nothing”. This is alarming. She has also done nothing to ensure the public that our systems and their personal data is secure. We need to be cooperating with the federal government and engage with a cybersecurity expert on an ongoing basis to ensure that the systems and data are secure from hacking or tampering and remain secure. This should be a huge priority in the office. While the current Secretary will tout her “See the Money” website as a step in the right direction, she has actually wasted over a million and a half taxpayer dollars on this website that is still not functioning and actually does nothing to increase transparency. Additionally, her administration pushed through a bill in her first year that actually undermined transparency when it comes to spending in elections. In the senate, I fought against this bill when it was passed, and have since worked to repeal it. As Secretary, I will work to increase reporting requirements to the full extent of my authority, and push for statutory changes as necessary to increase transparency. I believe the public has a right to know who is trying to influence elections. The public needs to have confidence in the integrity of our elections. After many election-related disasters in the current office, and using the office to advance a partisan agenda, that confidence is non-existent. We must restore nonpartisan competent leadership to the office, and I will do that. The Secretary of State should be working to ensure that EVERY eligible voter – Democrat, Republican, or independent – is able to cast their ballot come election time, no matter what their own party. I have talked to many independent voters, and without fail, they want to know they have an equal voice in the political process, and many of them feel particularly disenfranchised by practices of the current Secretary. I am reaching out to all voters. This was absolutely a joint effort between the county recorders, and the Secretary who approved what were woefully inadequate polling place plans, particularly in Maricopa County. There is no excuse for the plan that was approved – a second grader could have told you there weren’t enough polling places. The Secretary must be extremely proactive in preventing this kind of debacle in the future, working cooperatively with the county recorders to expand early voting opportunities and ensuring adequate resources on Election Day. Additionally, the Secretary should work closely with county recorders to increase voter education. I think we should be doing everything possible to make it more convenient for everyone to vote. This includes expanding early voting opportunities (not just mail ballots), utilizing existing technology (printing ballots on demand) to create Election Day voting centers rather than requiring assigned polling places so that people can vote anywhere, investing in voter outreach, repealing laws that make it harder to vote (felony ballot collection) or allow for voter purging, and making it easier for felons to restore their voting rights. No, it is unnecessary, designed to address “fraud” that there was absolutely no documentation of (and would have already been illegal under existing law). What the law serves to do is make it harder for entire blocks of people to vote, particularly in hard to reach areas like the Navajo reservation. There is very little evidence to back up claims of widespread voter fraud, but it is incumbent upon election officials to ensure that everyone voting is eligible, as well as that eligible voters are not turned away. What’s remarkable about the high level of forgery reported this year is that most of it seems to be coming from paid rather than volunteer signature gatherers. I think that the process in place worked to vet out the forgeries. There should absolutely be consequences for those circulators who are responsible for forgeries, but we may also need to place more responsibility on candidates for vetting the signatures they turn in. I think that the reporting is working, but the process has been made unnecessarily complicated from the user end, and as Secretary I would work with a stakeholder group to streamline the reports and increase transparency. My priorities would be the same as they have been for the past 8 years in the legislature – creating an Arizona that works for everyone by fully funding public education, providing opportunities for those in poverty to lift themselves out, investing in infrastructure, and ensuring that everyone is free from discrimination. Aside from the many election disasters that have occurred on the current Secretary’s watch, I have not talked to one single person who is happy with the service they are getting from the Secretary of State’s office. This ranges from users of the State Library and Archives, business owners trying to renew their trademark registration, or notaries having to wait hours for simple issues, and career professionals are actually leaving the office because of mismanagement. I want to actually make government work for the people it is supposed to serve, and I have experience doing this. I will work to engage and involve stakeholders in addressing all of these inefficiencies that exist in the office.